We have had some renewed interest recently in wireless processing on a PC. After some research and a few experimental merchants, we found it is extremely easy to setup a laptop with some PC Processing software, a card reader, and a wireless or cellular PC card. In the end, the business can have a completely wireless credit card terminal, that has far more advanced abilities than any off the shelf wireless terminal. Laptop – In this case the smaller the better, and it is important that it has a good battery life (> 3 Hours Preferably). Or get lots of extra batteries. PC Processing Software – I recommend PC Charge Pro for this purpose. PC Compatible Card Reader – A USB card reader is going to be the easiest to setup in this situation, but PS2 and Serial card readers are also available. There are also keyboards with attached card readers, if an external keyboard is something that could be feasible. Wireless LAN PC card or cellular PC card – The LAN card will let you process over a WiFi connection, while the cellular card allows your computer to use cellular phone networks. The cellular card would also require cellular service, but most cell phone carriers can add this to your existing cellular account. Merchant account – It is important to ensure that your merchant account provider can setup PC Charge for processing over the internet. First off, PC charge is a very good program. It is in my opinion the best PC based processing program on the market. It is relatively cheap <$300, very easy to use, and it is compatible with just about every processing platform out there. A business can manually enter transactions on their computer, or they can add the card reader and swipe their customer’s cards into the program. The support is good and one year is now included with each license. The reporting with PC Charge is more advanced than with most terminal. PC Charge is also PCI / CISP compliant, so you wont need to worry about that at a later time. Second, there are a lot of businesses that already have one or more existing laptops. It doesn’t take a super fast, top of the line computer to process credit cards. You could probably buy a sub $200 laptop on ebay and get more than satisfactory results with it. Third, WiFi is almost everywhere. I see WiFi access points all over the place. A wireless PC card is really cheap, and some businesses can get away without ever needing a cellular setup. Note: Make sure that you process only on a WiFi connection that is secure. Do not connect to, or trust non-secure wireless connections. When you connect to them, anyone on that network has direct access to your computer. Here is the only major concern that I find with this setup. When using a cellular PC card, you must also have a service with a cellular provider. Unfortunately, Verizon and Cingular charge a lot for using their wireless internet networks that allow your computer to connect to the internet. If you already have a cellular service, you may be able to add this service at an more-affordable price, but from what I have seen it isn’t really cheap. Both Verizon and Cingular offer wireless PC Internet services, and you will need to check with them to see what the monthly cost would be. Assuming that you already have the laptop, the first thing to do is to get the wireless internet going on your computer. Whether you are using a WiFi card or a cellular card, you will need configure your system to connect to the internet using the method that you chose. Here’s an excellent guide on setting up a WiFi card on your computer. Setting up a cellular PC card, will be almost the same process, except there will some required software and some additional user info and passwords to enter. These will be provided by your cellular service provider. 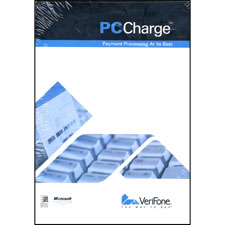 Once you have your laptop connected to the internet, and your merchant account is setup, you will need to install the PC Charge software. This is a simple process, consisting of inserting the CD and installing the program like you would any other. PC Charge comes with one year of support, so if you run into problems, you can call to get help from PC Charge. There are also some business specific information about the processing network your business is using, so normally you will setup some of the specifics in PC charge with the assistance of your merchant account provider, or PC Charge support. If you are planning on using a card scanner you should now attach it to your USB port. If you’re using Windows XP or better, it should automatically be detected. Otherwise go to your control panel, and use the add-remove program application. PC Charge normally will automatically use the card reader that you plug into it. If it doesn’t work, call their support and they should be able to get you going. Make sure you use a card reader that is compatible with PC Charge. There are also PS2 (Keyboard connection) versions of card readers, but I recommend the USB versions. Now you’re ready to go. Anywhere that you have an internet connection and enough battery to keep your computer going, you should be able to electronically process credit cards. You can get a car charger for your computer, and can add portable printers if you want to be able to print receipts. This setup may not be as compact as a wireless terminal, but it doesn’t lack anything in speed and usability. Everyone that I have seen use this setup was extremely satisfied with it. We recently has a customer recommend it to over two hundred associates in their industry, and not one of them using it has had anything but praise for it. The setup can occasionally lead to some snags, but once everything is running properly you have a excellent processing method. It’s nice to see this sort of thing being available to small businesses. I remember when it used to cost $100 or more a month to lease a wireless credit card terminal and most folks would just carry an old knucklebuster and hope that the card was good. And that was 10+ years ago, that’s like $150 or more a month now. This is the very thing I have been looking to do – this article makes me feel more secure in my decision. Thanks for the info! Is it possible to have 5+ wireless or Bluetooth card readers run simultaniously to one laptop? yes, and it works on my cingulair phone too…kinda nice. Thanks for the article, like ‘cingulair guy’ this is also a solution that I have been looking for! I have been searching for a solution for this for quite a while. THanks for the info. Pc charge looks like a real solution.